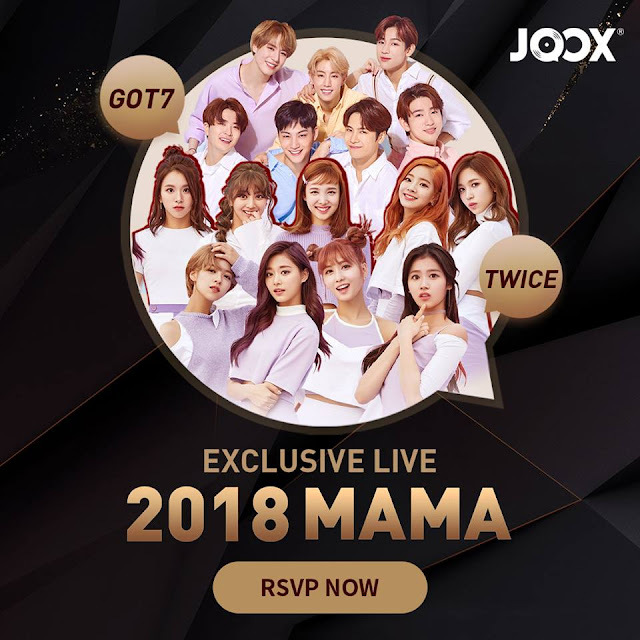 For the second consecutive year, JOOX is once again turning up the K-Pop fever this year as it continues to be the livestream platform in Hong Kong, Malaysia, Thailand, Indonesia and Myanmar for fans to watch two of the biggest K-Pop music awards in Asia: the 2018 Mnet Asian Music Awards (MAMA), and more prestigious Korean music events in 2019! Don’t miss your chance to be blown away by the hottest music acts in Korea today! When you want K-Pop, there’s nothing else but JOOX! This year, MAMA 2018 will take Japan and Hong Kong by storm, and K-Pop fans who use JOOX will be going along for the ride live! With JOOX as the only licensed livestream platform for MAMA 2018, fans will be able to feel the K-Pop fever with BTS, Twice, IZ*ONE, Monsta X, Wanna One in Japan, and with BTS, Wanna One, GOT7, Momoland, Seventeen in Hong Kong! Also, MAMA has released the lineup of artists who are confirmed to appear in the 2018 MAMA Awards, including: Janet Jackson (legendary pop icon, U.S. singer, songwriter, actress, producer, and dancer), Lin Jun Jie (Chinese Singaporean singer, songwriter, record producer, and actor), Japanese Actor Yutaka Matsushige, Korean Actors Cha Seung Won, Hwang Jung Min and Jang Hyuk, as well as Korean Actress Seo Hyun Jin!